The middle school years mark an important transition for young boys. Their educational journeys will undergo big changes as they move from a contained classroom setting with a single teacher to an experience in which they may see four or five different teachers per day. However, this is not the only change. Their adolescent brains will begin a process of maturation that will last well into their mid- to late-twenties. While it will take years for these processes to fully mature, it is vital that during this developmental period middle school boys are provided with opportunities to practice and hone their budding neurological skills. 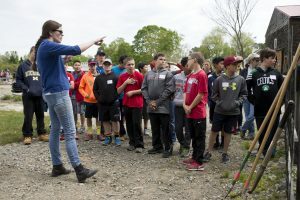 One way Fessenden does this is to engage students in service-learning projects, which often enable children to address real-world issues and build real-world skills. The term “working memory” is used to describe a person’s ability to retain information in order to complete a task or activity. This is done through a combination of auditory and visual-spatial memory exercises. Multiple times each year, Fessenden students travel to areas in the local community to perform various community service projects, and the ability to pay attention, follow instructions, and retain information is crucial. Whether children are working on a nearby farm, cleaning up one of the many New England beaches, or volunteering at a home for the elderly, they must practice their working memory and remain focused on the task at hand. It can be tempting to disengage in a classroom setting, however, the active and real-world nature of community service ensures students remain connected. When students engage in a community service experience, it is often done in an authentic setting far removed from the controlled nature of the classroom. This means that students are not able to rely on routine to know what might come next. It is here that another important EF area comes into play: cognitive flexibility. As Drs. Dajani and Uddin note in their paper on demystifying this concept, “Cognitive flexibility enables an individual to work efficiently to disengage from a previous task, reconfigure a new response set, and implement this new response set to the task at hand.” For example, when volunteering at a food bank a student might be required to complete a range of tasks from sorting cans to packing boxes. Cognitive flexibility allows the child to adapt to each one of these new tasks without getting stuck. As the world becomes more connected and the need to multitask grows, cognitive flexibility is an important skill set to have. The ability to connect to what a person thinks and knows is emotional control, an essential executive functioning skill. A lack of emotional control might cause a child to be incapable of responding to triggers or stressful situations in productive or appropriate ways. The ability to think, remember, problem-solve, and express control all come into play. 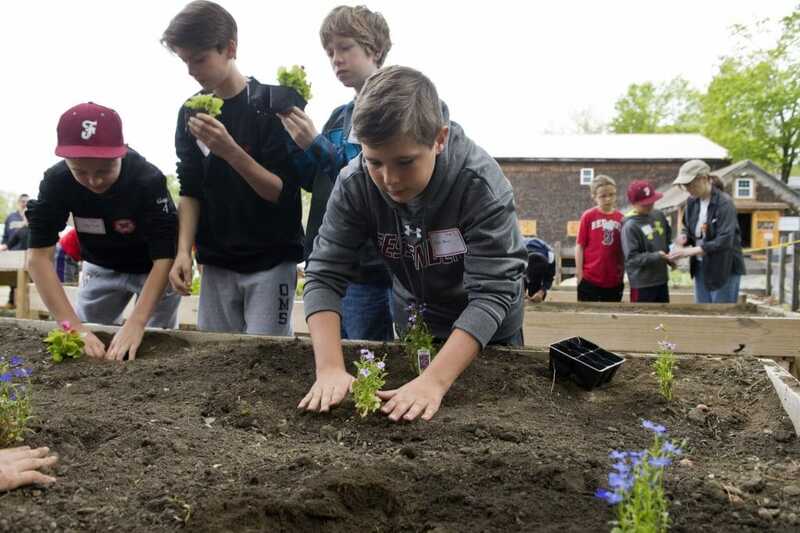 At Fessenden, middle school boys participate in a project founded by ThinkGive, a nonprofit organization focused on introducing young people to the value of giving. 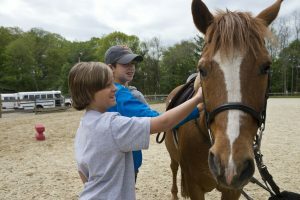 The program encourages boys to give non-material gifts—of time, kind words, or their help—to friends, family, and peers. Students must embrace daily challenges and record reflections in their digital journals reflections, which ultimately helps them to better understand the power of selflessness. Because this requires a daily check-in, the ability to practice empathy and to have mental reminders helps students improve their emotional control. At Fessenden, community service is a cornerstone of the middle school program. During these formative years, it is especially critical for children to be provided with opportunities to venture into the community and serve others. When students begin to see the positive impact that they are making through their actions, they feel rewarded, and this helps to reinforce their developing executive functioning skills. Have you seen any creative ways to help students improve executive functioning?